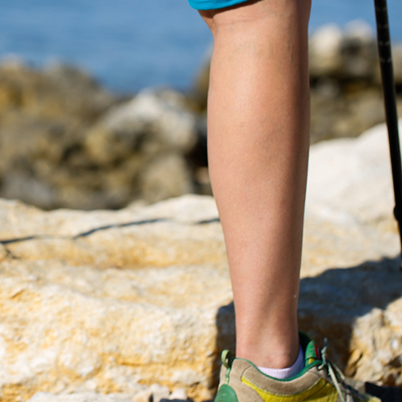 Bulging varicose veins are not only unsightly; they can also be very painful. Today, thanks to new technology, several minimally or noninvasive treatment options are available to treat varicose veins and provide symptom relief. These procedures are as effective as surgical options such as vein stripping, but with a much shorter recovery period, enabling patients to quickly resume their daily activities. Thermal ablation has been popular for roughly 10 years and has virtually replaced vein stripping as the standard treatment for varicose veins in the U.S. Performed under local anesthesia in the doctor’s office, it reduces symptoms of pain and swelling, and improves the quality of life for patients with chronic venous disease. “Thermal ablation represents a significant advance in the treatment of varicose veins. It is an endovascular technique, meaning that treatment occurs from inside of the affected vein,” says Dr. Dmitry Rabkin, an interventional radiologist and vein care specialist at Brigham and Women’s Vascular Vein Care Centers. Its benefits include a quick recovery, durability, and minimal scarring. With thermal ablation, tumescent anesthesia is injected at various points in the leg to numb the treatment site and protect the surrounding tissue from heat exposure. Once the leg is numb a physician inserts a catheter into the leg and heat is applied to close the affected vein. Microfoam chemical ablation, known by the trade name Varithena®, is a less invasive technique than thermal ablation. It uses a substance called a sclerosant to fill and treat a varicose vein and does not require the use of heat or tumescent anesthesia. “Microfoam ablation can be used to treat all types of veins, including tortuous, straight, and large veins greater than 3 mm in diameter and up to 25.9 mm under ultrasound guidance above and below the knee,” Dr. Rabkin says. This procedure, which usually takes less than an hour, requires three or fewer needle sticks. No procedure is without some risk, but the side effects of microfoam ablation are minimal for most patients. The most common is leg pain or discomfort, which usually stops within a week. Non-steroidal anti-inflammatory medications (NSAIDs) like ibuprofen may help alleviate pain. Other potential side effects are bruising or pain at the injection site, temporary hyperpigmentation of the skin, or (very rarely) blood clots in the leg veins. Anyone with clinical signs of varicose veins and a great saphenous vein larger than 3 mm in diameter is a candidate – even those with Type II diabetes. However, people with spider veins (telangiectasia) or blue-green feeder (reticular) veins should be treated with thermal ablation. Those with arterial disease, reduced mobility, or a history of blood clots in the veins or lungs are not good candidates for microfoam ablation. In addition, anyone who is pregnant or has recently been pregnant, had major surgery or a long hospital stay in the past three months, or is undergoing chemotherapy would not be eligible for this type of varicose vein treatment. Recovery is generally very easy for most patients. Although they can resume light activities the same day as the outpatient treatment, they should wear a compression stocking on the treated leg daily for two weeks. Patients must also avoid heavy exercise for a week after treatment, and they should walk at least 10 minutes a day for a month. Brigham and Women’s Vascular and Vein Care Center offers a full spectrum of diagnostic tests, medical, and cosmetic treatments, and procedures for varicose veins. 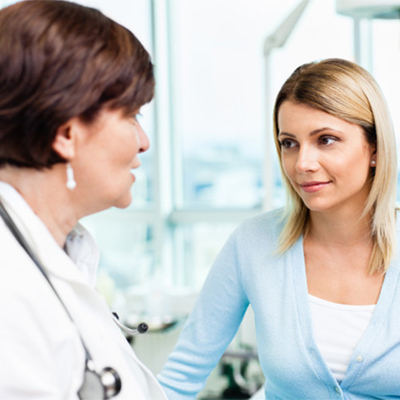 Brigham and Women’s accredited Vein Care Centers are in Newton, Foxborough, and South Weymouth. For more information, visit brighamandwomens.org.